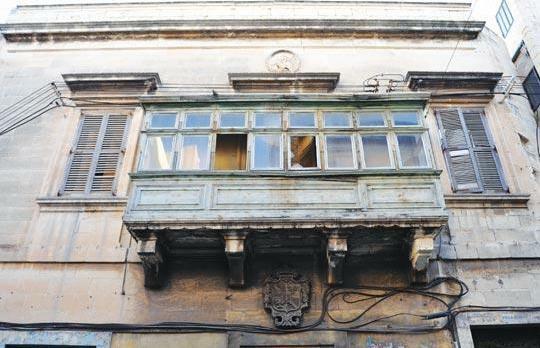 The Sliema Residents Association had forgotten that Villa Bonici is private property and so it could not just make plans about what does not belong to it, the owner said. Alfred Gera de Petri was reacting to the association's proposal to develop the Sliema villa into an old peoples' home and the nearby grounds into a public garden. Mr Gera de Petri wonders whether the same people would be so altruistic when it came to the use of their own property. He insisted that "you cannot treat private property as though it were public. You cannot make plans to develop property that belongs to others as that is the owner's right". The site's location in the middle of urban development gave its owners rights with regard to its monetary value and use, rights that could not be ignored or bypassed, he insisted. "Some people, in their unbridled enthusiasm, seem to forget that owners do have rights and that these are also protected by the Constitution and the European Court." Mr Gera de Petri quoted a number of judgments ruling that property may not be taken over except for public purposes, in which case, its market value has to be paid to the owner. These arguments were also made by Environment Parliamentary Secretary Mario de Marco, who pointed out that the villa was private property. Adopting the association's proposal, he said, could be tantamount to expropriation, the public interest of which had to be proven and compensation paid to its owners against its market value in accordance with the basic fundamental rights to private property. "This is not only protection for the owners of Villa Bonici but for everyone who owns property," Mr Gera de Petri said, describing as "sheer cheek" the association's proposal to make plans without paying a legitimate and appropriate market price and not even bothering to consult the owners. The association argued that the planning authority had acknowledged Sliema was overdeveloped and lacked open spaces but it continued to grant development permits, even though these defied sustainable town planning. It said Mepa favoured the interests of developers to the detriment of the residents' rights to live in a clean and healthy environment. It also questioned the authority's removal of the Villa Bonici site from Urban Conservation Area status, placing it in an area with unlimited height.